Do you travel with your firearm? If the answer is yes, do you have a gun safe in your vehicle? If not then you need to seriously consider getting on. Let us help by providing some tips on what to look for and reviewing a popular model currently on the market. Some of you may think getting a gun safe for your car is unnecessary but not doing so openings you to two very unpleasant possibilities – thief or being a criminal yourself. It is estimated that between 40-60% of stolen firearms are taken from vehicles. Even if you have a CCW there are plenty of places, such as government buildings, where you are prohibited from being armed so it will be need to be left behind. Depending on what state you are in having a secure, lockable storage option may even be a requirement- not having a safe could open you to prosecution. It goes without saying that any safe needs to be durable. The box and locks must be strong enough to resist attempts to break into it. Hinges, mounting bolts and other securing hardware should be hidden or resistant to cutting. Unlike a home safe your car gun safe should also withstand the vibrations, changes in temperature being in a vehicle will cause. It should also be able to stand up to frequent opening and closing, unlike your home safe you may be entering this unit several times per day. It should also include features, such as padding or securing straps, which protect your firearm from bouncing or sliding. 40-60% of stolen gun were taken from automobiles, the main reason for having a gun safe is to prevent your firearm from becoming another one. But if your safe is visible to anyone who looks into the vehicle you are inviting a theft attempt. Your also need to consider how easily you can get into the safe. Although you do not want onlookers to know where it may be it should not be so hidden as to prevent immediate access if needed. Remember, you probably carry your firearms “just in case”, if you cannot get to it you might as well leave it at home in which case you do not need a safe. A safe’s locking mechanism can be operated in a variety of manners including biometric (fingerprint), password, combination and key operated. Each has advantages and disadvantages. Biometric are probably the most secure and along with digital the easiest to manipulate. However, they rely on a power source which may not be available when needed. Key and traditional combination are less secure, because someone may learn your combination or copy the key. Although they may be harder to open, especially under stress, they will never fail due to lack of available power source. 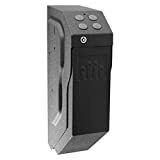 Now let’s look at some popular model of car gun safe available on today’s market and see how it stacks up. The following models range from basic generic designs to more elaborate vehicle specific options and are sure to offer something with all the features our are looking for. Be sure to use the provided link to find the latest in pricing and availability via Amazon. Bulldog is one of the leading names in versatile, mid-range portable safes and the One Touch is one of the reason they enjoy this reputation. This economic safe offers an excellent combination of durability, easy to use design and fast access to your firearms. The One Touch is constructed of 18 gauge powder coated steel, to deter attempted break ins, and a soft scratch resistant interior lining to protect against damage while on the road. Exterior dimensions of 11”x7.5”x2.5” allows the safe to be mounted in a variety of locations and the necessary hardware is included. The most popular mounting location is under a front seat. This configuration allows the safe to be securely fashioned to the seat frame and hidden from view. More importantly it allows you to take full advantage of the spring loaded drawer, which can be opened with a single finger. Simply unlock with the supplied key, push the drawer and you have immediate access to your firearm. Easy to mount, true DIY project. Fast easy access, even for a key operated lock mechanism. Can be used with a variety of vehicles or transferred between multiple vehicles. Multiple mounting options provide for maximum concealment. Interior lining not as robust as many be desired. The Stack On Portable Case is more than a car safe, it is also designed to double as a secure transportation lock box. Perfect for the gun owner on the go and is approved by both TSA and the California Department of Justice. This means you can use it to transport firearms while flying, drop it in your luggage and then transfer it to your rental vehicle. No matter where you go your firearm can be safe and close at hand. The reason this safe is so well suited for travel is the fact that it does not utilize a traditional mounting system. Instead, it is secured to a solid structure ( such as the seat frame) by way of the included vinyl coated steel cable. Pass the cable through the slot in the heavy duty steel case, wrap it around a stationary object and click the supplied pad lock. Contents are secured via a three tumbler combination lock which is easy to operate. 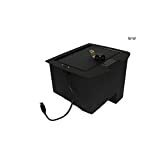 The safe itself is secured by the vinyl coated steel cable and lock. Once the case is closed the cable cannot be removed and the cable is difficult to cut even with bolt cutters. Well-padded to protect firearm even when upside down. TSA & CDOJ approval allows one case to be used for any travel situation. Vinyl cable is extremely difficult to cut. Economic price allows purchase of separate safe for each vehicle or firearm. Combination lock does not automatically scramble after being closed. May not accommodate large frame firearms or those with lights or magazine extensions installed. The Gun Vault SV, or Speed Vault, is one of the fastest and easiest accessed car safes on the market. 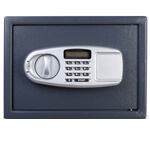 The safe is activated by way of a digital keypad, no key to find and not combination to fumble with. Once activated the fast access drawer drops open and places your firearm at your fingertips. Trying to access your firearm in the dark? The Gun Vault includes a handy courtesy light to brighten the interior. If the 9 volt power supply should fail, or you are unable to remember the keypad code, the key activated override allows access any way. The safe itself is constructed of heavy 18 gauge steel. The interior is lined with thick foam which can be reconfigured or trimmed to accommodate almost any handgun, and you will have no problem fitting even your largest sidearm in the 6.5”x3.5”x13” frame. 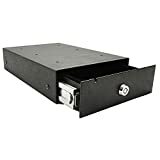 Unlike most car safes the Gun Vault is designed to be mounted upright, either beside a center console, under the dash or in the rear of your SUV. Hardware is included for each of these options and more. Some of the best interior padding available. Drop drawer & digital keypad allow for extremely fast access. 5 yr manufacturer warranty against fire damage or theft. Depending on vehicle invisible mounting may be difficult. A short service life has been reported for the single 9 volt power source. The Console vault is a popular model of gun safe specifically designed for use in automobiles. As the name implies, this particular model is designed to be installed within the existing center console. These safes are constructed of 12 gauge steel and are secured by several hidden bolts using the factory console mounting points. 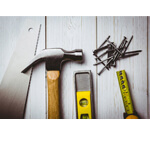 Installation is typically a DIY project needing nothing more than the provided hardware and a screw driver. Once installed the safe is fully concealed within the console, invisible when console is closed yet close at hand and easy to access. 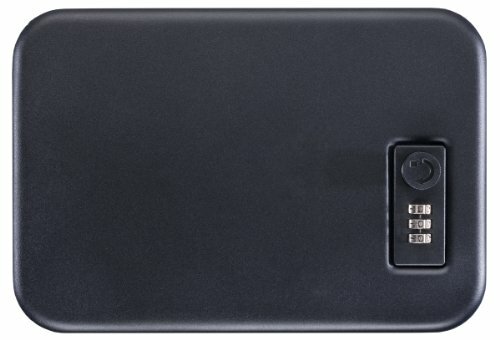 The locking options include key operated, 3 digit or 4 digit combination. One area which is lacking is the inside. While there is a soft felt lining to prevent metal on metal contact it is not enough to prevent movement during even normal start/stop driving. Some users report adding additional padding or storing the firearm inside a soft-side gun case. No vehicle modifications needed, Easy installation. Accommodates full size firearm and, depending on model, spare magazines. Lock does not rely on vehicle power source. Available to fit most newer trucks or SUVs. Not readily available for cars or older trucks/SUVs. Not interchangeable between different vehicle makes/models. Minimal padding inside the safe.